Are you an Air Force vet looking to retire in the warm Florida climate? For veterans who served in the Air Force and are ready to retire, Florida retirement living provides a unique option that brings together people with similar military backgrounds within a community. Options for Florida retirement living for Air Force Veterans include the same opportunities every retiree has to choose from, but for those who want to settle in a community designed specifically with Air Force retirees in mind, there are only a few choices. Air Force Enlisted Village, Inc., located in Shalimar, Florida is also known as Bob Hope Village. Located in sunny Northwest Florida, this retirement community is situated just three miles from Eglin Air Force Base and eight miles from Hurlburt Field. This close proximity to military bases makes Air Force Enlisted Village an attractive retirement option for Air Force Veterans because of its convenience to commissaries, health care, base exchanges, and all the other facilities afforded to military retirees. This gated community includes four villages comprised of unfurnished garden apartments, with 224 one-bedroom apartments and 32 two-bedroom apartments. Apartments come furnished with appliances, but are otherwise unfurnished, which allows retirees to move in and make the place their own. Transportation is available to help residents get to doctor and dental appointments as well as for shopping, including trips to the base exchanges and commissaries. For those interested in learning more about Air Force Enlisted Village, call them at (850) 651-2635. For those interested in checking out the Air Force Enlisted Village first hand, personal tours can be arranged to visit the facility. Several other Florida retirement options are available for military veterans, but they are not specific to Air Force veterans only. The two mentioned below are vibrant, active communities that draw retired veterans because of their proximity to military facilities. For more information, call (866) 215-1647. Freedom Plaza is a luxury continuing-care retirement community located in Sun City Center, Florida. This facility offers a number of health plans that provide for skilled nursing at no additional cost, if it is needed. The Retired Officers' Corp. plays a role in sponsoring Freedom Plaza, which offers nearby military facilities and on-campus golf. For more information call (888) 467-5202. Warm weather retirement for Air Force veterans can also be found in two other locations outside of Florida, both in sunny California. Blue Skies of Texas I and II are open to officers of the Air Force as well as the Army, Navy, Marines, Coast Guard, Air and Army National Guard and Reserves. Garden homes and private residences are available along with professional services, including assisted living and continuing care. When retiring to a community that provides the desired amenities, as well as the level of care and comfort you're looking for, the added benefit of having neighbors who have served their country the same as you is a priceless retirement benefit. 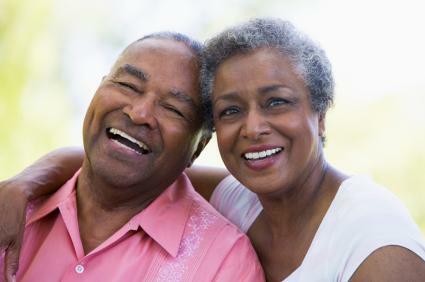 It will fill your retirement years with friends you can relate to and who may share many common interests.